Suzanne and Hazel, UX Designers from the BBC Children’s team, visited UCLan and gave a fantastic talk about their work and what it involves. 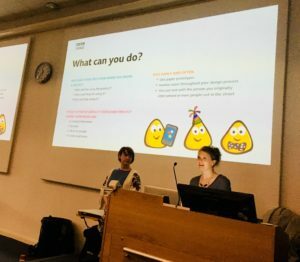 The talk was very well attended by all first years in the computing area, second and third years from Software Engineering, Games Development and Games Design, masters students and staff. The visit also involved demos of student work and research projects, along with discussion of possibilities for future collaborations. 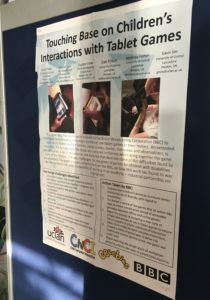 At CHI Play I presented a paper we co-authored with the BBC which resulted from research we did for BBC Children into how tablet games were used in the homes of children with multiple disabilities. 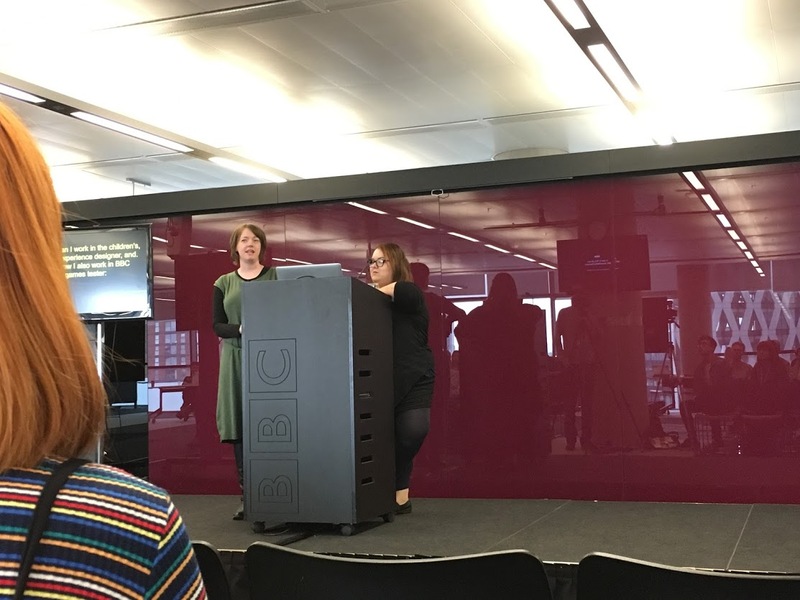 The paper summarised the key findings from the work, including personas and guidelines for those developing apps for special user groups, and highlighted the fact that the work lead to change within the BBC. I also presented the associated poster. 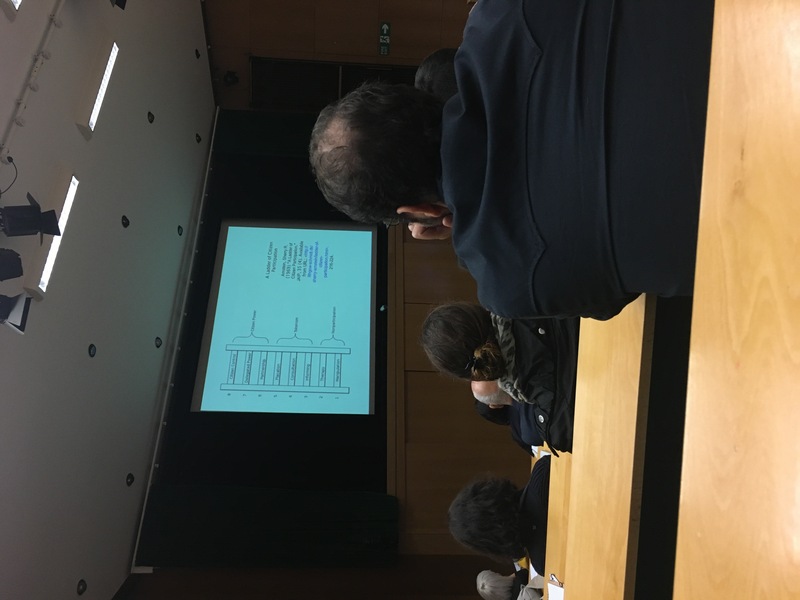 The conference was really friendly and I has some fascinating conversations with other academics about their work. The full paper can be found on the ACM DL here and the poster pdf can be found here. 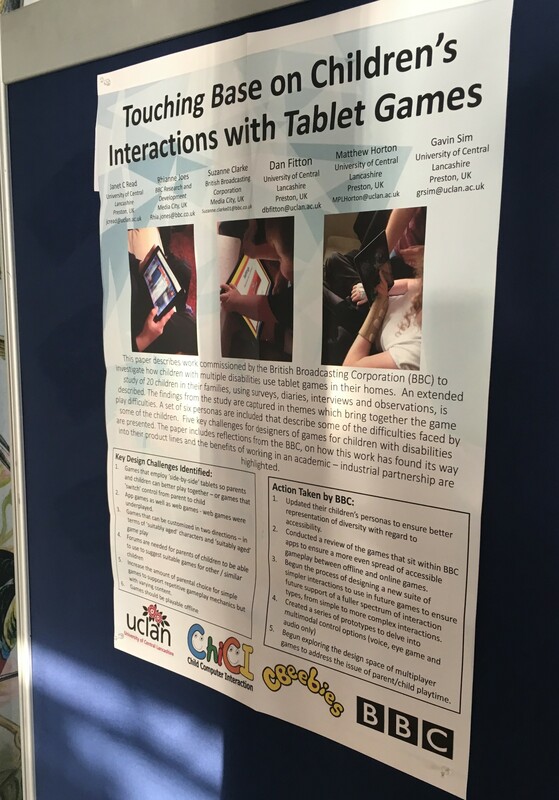 This was a busy year for the ChiCI group, I presented a paper, poster, and chaired a session, overall the group presented two more papers and chaired a few more sessions (with one paper being the work of an undergraduate student and one poster being the work of an MSc student). The event ran really well with a wide range of attendees, great keynotes, and fun social events. The theme at IDC this year was 50 years of Logo which was the focus of two keynote talks, as usual there was some extremely interesting papers and posters. I was invited to the Analyzing Children’s Contributions and Experiences in Co-design Activities workshop which ran extremely well with much insightful discussion, we generated a whole host of ideas for better conducting and reporting co-design work with children. 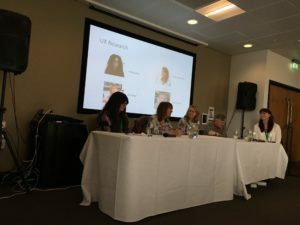 This event brought together academics and practitioners working in UXD and explored crossovers between the two through lively panel discussion and workshops. I was invited to be on the research panel and jointly ran one of the workshops. 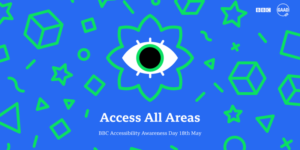 This events was run by the BBC for Global Accessibility Awareness Day and showcased their excellent accessibility work across BBC products and collaborations with inspiring talks and demos from Salford, London and Glasgow. This was a really valuable event to get insights on best practise in the commercial UX domain and chat to some very interesting people. 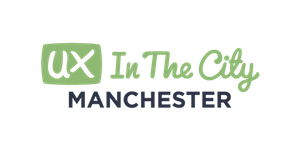 Inspiring keynotes, hand-on workshops and a range of talks. 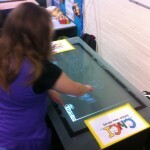 The ChiCI Surface Goes to School! 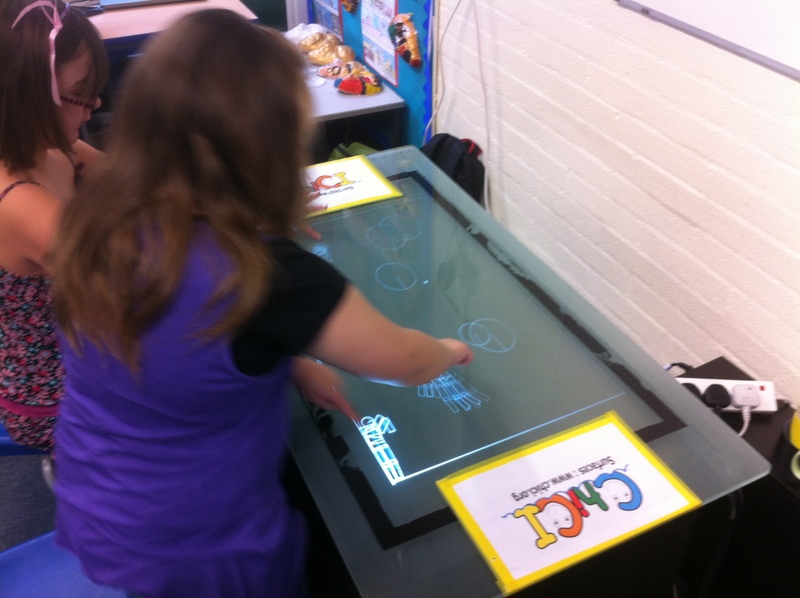 We finally found the time to take one of the ChiCI child-proof multitouch tabletops into a school as part of a STEM Industry day, many thanks to the teachers and children of Primrose Hill Primary School! 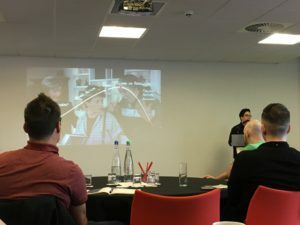 A short article I wrote on Away from the Desktop and what term embodies has been published in the BCS Interfaces magasine. Parts of the credits for this should go to the most excellent MSc students on my Design Away From the Desktop module from last year! 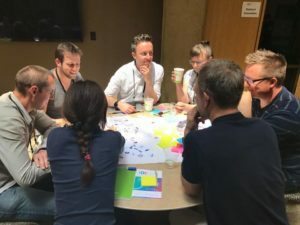 I’m one of the organisers of the Methods of Working with Teenagers in Interaction Design workshop which will be at CHI 2013 in Paris, this builds on some of the discussions from our workshop at NordiChi this year and should be anotherÂ excellentÂ event. You can find the the call and submission link here, for any further info just e-mail me or any of the other of theÂ organisers, from the workshop we’re planning a special issue of the International Journal of Child Computer Interaction.Â Full workshop blurb: Teenagers are a unique but little studied user group within the field of Interaction Design. Current literature on methodologies for research with children predominantly focuses on working with younger age groups and leaves a distinct gap between this and research methodologies used with adults. The aim of the workshop is to bridge this gap by bringing together practitioners and academics that have developed and used novel methods for carrying out research with teenagers in the interactions design area. 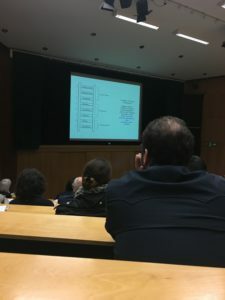 The workshop will also refine and develop existing methods, create new methods, foster new collaborations, and define new research agendas to grow the research and literature in this area.